Today I'm drinking Samuel Smith's Organic Strawberry Ale brewed by Melbourn Bros' All Saints Brewery in Stamford, Lincolnshire, UK and blended and bottled at Samuel Smith's Brewery in Tadcaster, North Yorkshire, UK. Whew! 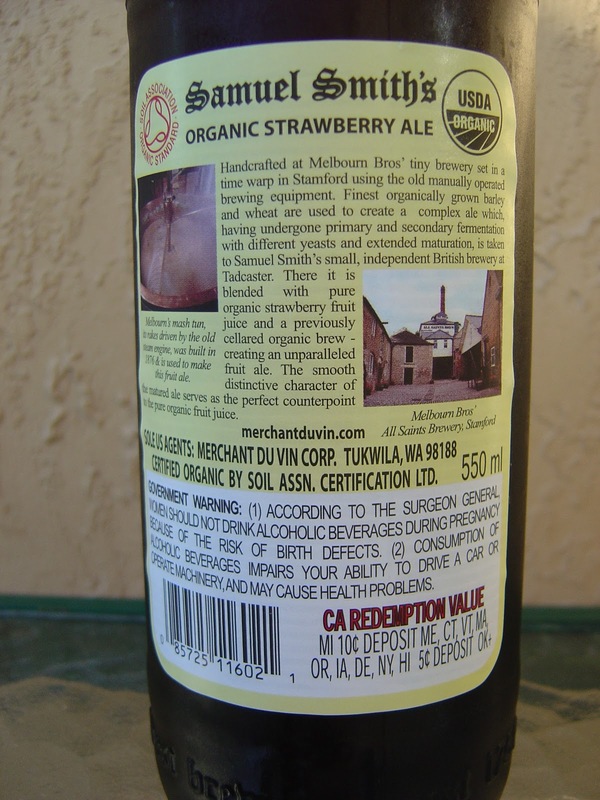 The Melbourn Bros' brewery is described as being set in a time warp where they still use manually operated brewing equipment. There are even a few photos on the back label. The label is typical of the name brand and the size of this bottle is 18.7 oz or 550 mL. I was expecting a much pinker beer, though there was definitely a red tint to this guy. Malty with a powerful fresh strawberry aroma, quite nice. 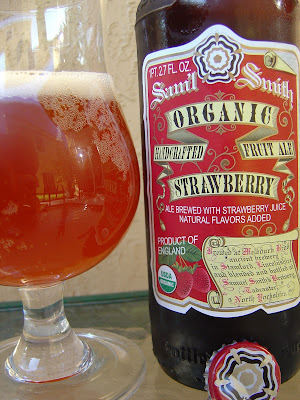 The flavors start with strawberries, tart but with a light sweetness. There are also some secondary fruity cantaloupe flavors, very juicy. I love how this is going already! A definite yeast component makes sure you don't forget that this is still a beer, adding some flavor character. 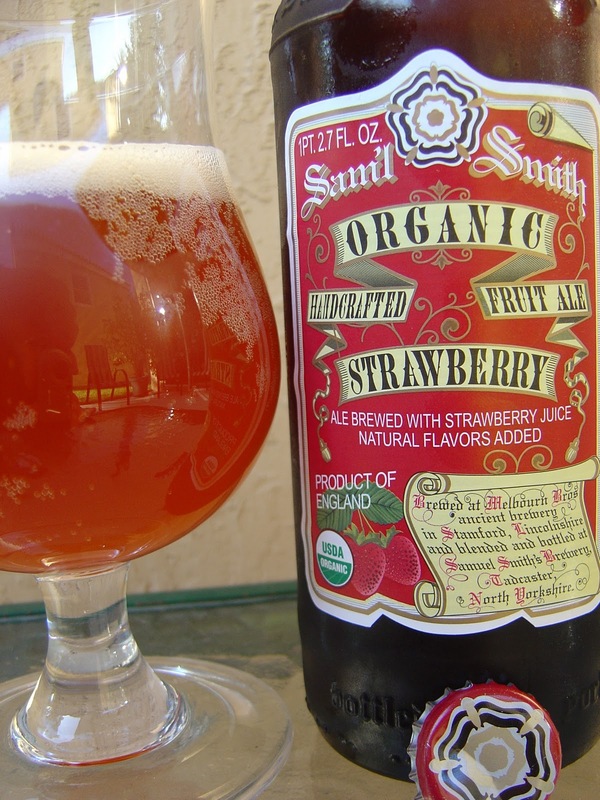 The carbonation is also spot-on, making the fruit flavors jump up and down in your mouth. Is this beer a little one-dimensional? Yep. It starts to feel a little like a soda, sugary and not diet. However, the alcohol adds just the perfect little warming reminder that this is still a beer. Great body, terrific flavors. This is one of the best fruit beers I've ever had! Definitely check it out! Sorry, I stopped reading after "strawberry." Good thing or you'd have definitely been converted! Thank God you have a photo b/c I have another friend Vanessa that could have made that identical comment, but from within that crowd. Yes, not too tart and great fruity flavors, perfect for that crowd. I could have used a little more tart bite, but I did like this a lot.